The report, which first surfaced on The Wall Street Journal, says that the affordable variant of Nintendo Switch will not include the vibration feature, which basically means that it would not have detachable Joy-Con controllers. The upcoming variant of Nintendo Switch is said to be the successor of 3Ds. 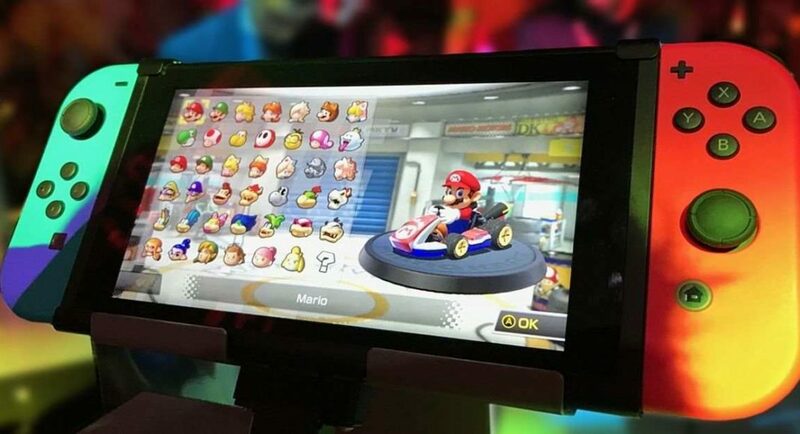 Earlier this year, a report in Nikkei also suggested that Nintendo was planning to release a smaller version of its Switch, and the main purpose behind launching this is to make a portable gaming gadget available for fans. However, we should point out that till now, no details have surfaced that give us an insight into what to expect from the higher-end model. But then, one source has mentioned to The Wall Street Journal that there will be more than a simple performance boost that the higher-end variant of Nintendo Switch. It is worth noticing that there is a lot of room for improvement in Nintendo Switch. The console is powered by a four-year-old Tegra X1 processor. If Nvidia makes a comeback into the mobile chip development for the company, Nintendo could make major gains in terms of power and efficiency. According to the report, the Nintendo Switch hardware will be announced officially at E3 in June this year. Last month, a report by Emily Rogers on ResetEra suggested that Ninento maybe having plans of launching as many as 12 games for its Switch gaming console this year. Three games among the ones that are set to be launched are eShop-only titles, one is Nintendo Labo kit and two are Wii U ports. The remaining six games that Nintendo plans to launch this year are big retail games. The report further said that among the 12 games, nine have more than 75% of being launched this year and the other three – among which two are bigger retail games and one is Wii u port – have about 50% chance of being launched in 2019. The latter group is reportedly the Metroid Prime Trilogy and it has not officially been confirmed yet. And another game among the 12 that are set to be launched is Retro Studios secret project, which may be the Star Fox Racing.